As highway construction and maintenance projects increase worldwide, Ergon Asphalt & Emulsions is uniquely positioned to respond to market demand with pioneering work in asphalt research and development, manufacturing, and marketing to asphalt suppliers around the world. 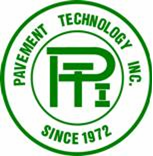 Pavement Technology, Inc., based in Westlake, Ohio has 40 years experience and history in providing products which allow government agencies of all sizes to efficiently and economically preserve roadways and extend the life of their asphalt roadways and concrete pavements. The company works with agencies to demonstrate how they can implement cost effective pavement preservation treatments using available funds to address more miles of roadway annually and improve overall network conditions better than they can by using older conventional methods. Southeast Emulsions is a part of Colas, a world leader in road construction and maintenance. Colas builds and maintains roads, airport runways and surfaces, parking lots and parking garage surfaces. Southeast Emulsions, A vertically integrated Pavement Preservation solution provider supplying Pavement Preservation products and the services to apply and maintain Interstates, State highways, city streets, county roads, airports, airstrips and all other road surfaces. Based in Columbus, Ohio, Strawser Construction, Inc., is dedicated to providing long-lasting, cost-effective solutions to today’s road and highway problems. Through the implementation of a number of technologically advanced asphalt and emulsion products, Strawser Construction, Inc. specializes in providing cost effective turn-key Pavement Preservation solutions to help extend the life of your asphalt and concrete pavements. For 90 years, the professional men and women of Blythe Construction, Inc. have literally paved the way for hundreds of public and private projects that have supported the Southeast’s rise to prominence. From large interstate highways to small commercial site development, Blythe Construction employees perform with pride and creativity. We approach every project with a dedication to efficiency, technology and, most of all, safety. Blythe Construction is proud to be a part of this area’s history and development, and we are eager to participate in its bright future. Blythe Construction’s list of services include complex highway projects, site development, paving, utility and drainage systems, surveying, RAP and hot mix sales, and state of the art bridge building. We provide multiple delivery systems in design-build, bid-build, public-private-partnerships and design-build finance. Blythe can take your job, no matter the size, from the design stage to the final layer of asphalt. Cutler Repaving is North America’s largest and most experienced authority in single pass asphalt recycling. Cutler originated single pass asphalt recycling technology in 1965, and has spent more than four decades refining and perfecting the pavement recycling process. Cutler’s single pass single machine method has recycled over 190 million square yards of existing asphalt roadways in 32 states and 350 cities. Whether it’s for highways, urban/arterial roads, or residential streets, Cutler’s Single Machine Asphalt Recycling System is the ideal method to rejuvenate pavement with a minimum amount of public inconvenience. No other HIR pavement recycling contractor comes close to Cutler’s level of experience and expertise. It’s reputation for customer satisfaction is demonstrated by repeat business of 90%. Everett Dykes Grassing Company, Inc.
Construction Partners, Inc. acquired Everett Dykes Grassing Co., Inc. (Dykes) to be its Georgia platform company in January 2011. Based in Cochran, Georgia, Dykes operates two asphalt plants in middle Georgia providing asphalt paving, soil cement, roller compacted concrete, asphalt reclamation and surface treatment projects in South Carolina and Georgia. Van Dykes along with his brother, Ricky Dykes, continues to lead the company as President and Vice-President respectively. At Kercher Engineering, quality means combining the latest technology with solid engineering methods to complete a safe, cost-effective project that meets the client’s needs and timeframe. Kercher’s project managers, engineers, surveyors and inspectors work as a team to maintain a high level of quality on all projects. As a multidisciplinary engineering firm that serves both the private and municipal sectors, Kercher is in the unique position of being small enough to respond quickly with personalized service for every client, while at the same time having sufficient staff resources to tackle the largest, most complex engineering challenges. The original inventor of styrenic block co-polymer (SBC) chemistry in the 1960s, Kraton Performance Polymers Inc continues its year-on-year commitment to engineering precise polymer solutions in partnership with innovators worldwide. With unmatched supply reliability and global reach, Kraton Polymers is the world’s leading manufacturer of SBCs, unique polyisoprene grades, and is the industry’s backstage partner helping fuel tomorrow’s market innovations. For over 50 years Jorgensen has provided a diverse range of facility and highway infrastructure, consulting, maintenance and management services. Our professionals are in the forefront as facility managers, maintenance engineers, trainers, assets managers and solution providers. Our system approach to maintenance management is unparalleled in our industry. We know how to identify and implement innovative solutions for our client’s toughest challenges. Seaco is a full-service asphalt emulsion manufacturer and supplier company that has been producing quality emulsions since 1949. Quality service to our customers is our top priority, therefore we maintain a year-round supply of DOT approved anionic and cationic paving grade emulsions. We also keep in stock a mixing grade emulsion for use in Cold Mix. We pledge to the citizens of Berkeley County that we will repair, maintain and preserve the roadways, drainage systems and boat landings to the highest standards; therefore, providing the highest standard of living possible and improving the quality of life for all of our citizens. The mission of the Transportation Development Program is to develop transportation projects that will utilize sales tax funds efficiently and effectively to improve the transportation network throughout Charleston County. Charleston County Transportation Development – Richard L. Turner, P.E. The Public Works Department is responsible for maintenance of the City’s infrastructure and for the collection and disposal of residential solid waste. Its mission is to protect and enhance Greenville’s quality of life through effective environmental and infrastructure management, which includes maintaining 224 miles of streets and 125 miles of sidewalks. The Georgia Division of the FHWA does not build or repair roads in the state. Rather, it provides funding for qualifying state and local highway and other related transportation projects. In addition, the division offers technical assistance and oversight to ensure federal requirements are met, such as the provisions of the National Environmental Policy Act of 1969. The South Carolina Division of the FHWA does not build or repair roads in the state. Rather, it provides funding for qualifying state and local highway and other related transportation projects. In addition, the division offers technical assistance and oversight to ensure federal requirements are met, such as the provisions of the National Environmental Policy Act of 1969. Welcome to the Georgia DOT whose team of motivated professionals is working to maintain safety on our roadways and to relieve congestion on our interstates. Our commitment is a 21st century transportation network that moves people and goods through our state in a timely and efficient manner. To provide customers with quality public services and facilities through innovative technology while meeting future challenges, protecting the environment, and conserving county resources. Services of the department include, but are not limited to, road, bridge, and sign maintenance; capital improvements; pavement management; subdivision construction activity; current landfill operations; convenience center operations; recycling; mail and courier services; building maintenance and janitorial services; codes and zoning enforcement; flood plain management; animal control; storm water and sediment control; and NPDES storm water permit management. The primary mission of the Roads and Bridges Department is the repair and maintenance of approximately 450 miles of existing county roads and rights-of-way, 76 bridges and 27 culverts over streams, in a prompt, efficient and economic manner, using well-planned activities, proper equipment, and skilled and dedicated employees. Within this mission, the Roads and Bridges Department is responsible for, but not limited to: pothole patching, milling and deep-patching operations in conjunction with LARP and county resurfacing contracts, rights-of-way mowing and tree trimming/removal/chipping, drainage ditch and storm water structure repair, cross and side drain repair and replacement, shoulder construction and repair, street/traffic signage erection, hydro seeding, preparation and oversight of calcium chloride application to gravel roads, and bridge repair (as needed). Roads & Bridges personnel also respond to emergencies and natural and man-made disasters 24 hours a day, seven days a week by removing roadway debris resulting from vehicular accidents, clearing storm-related debris from roadways, plowing and spreading salt during ice and snow events, and closing and barricading roads which have been determined to pose a danger to drivers. Welcome to the South Carolina Department of Transportation, where employees use innovative ways to serve citizens and promote safe and efficient transportation. Our state has much to offer, and we’re excited that you’ve chosen to find out more about SCDOT. The mission of York County Public Works is to provide quality services that improve and enhance the safety, cleanliness, health, and quality of life in our community by supporting federal, state, and local laws through the daily operations of the department.